Note: This is the eighth of an ongoing series of personal essays on the beginnings of Kehilla. Each article shares the origins of one or more of the ideals and/or values that motivated me to start Kehilla. The essays are adapted from the manuscript of the book I am in the process of completing, tentatively titled There is Only One Love: The Ba’al Shem Tov in the Modern World. 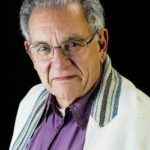 Rabbi Everett Gendler was an important mentor to me while I was studying in rabbinical school, and he later became an exemplar of the kind of rabbi I wanted to become. Everett had been involved in the Civil Rights movement in the mid-1950s, and he became close to Martin Luther King. During the following decade he played a pivotal role in involving American Jews in the movement, leading groups of American rabbis to participate in prayer vigils and protests in the South. He was instrumental in convincing the rabbis of the Conservative movement to actively support the Civil Rights movement. 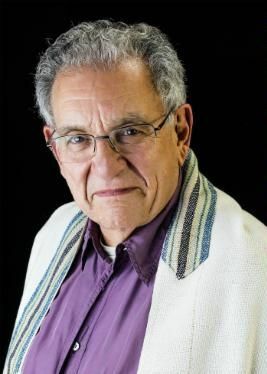 It was Everett Gendler who persuaded Abraham Joshua Heschel to participate in the famous march led by King from Selma to Montgomery, Alabama, in 1965. Gendler was also an early proponent of non-violence and Palestinian rights. He is considered the father of the Jewish movements for non-violence, environmentalism and vegetarianism. Later, in the 1970s, he stood for equal rights for gays and women’s liberation. I admired him both as a leader and as a mensch, a righteous human being. Everett was also a personal guide. A religious humanist, he suggested to me ways that I could moderate the religious rigidity that had been obsessing me in my early years at the Seminary. He also made a case for a more open approach to sexuality, guided by Martin Buber’s notion of I and Thou. Through Everett I had my first taste of Buddhism without knowing it. In the mid-1960s, the chancellor of my seminary, Rabbi Louis Finklestein, asked Everett to serve as a kind of spiritual resource to the students. One of Everett’s cherished tasks was conducting an alternative morning worship service once every week. Without informing us about his deep interest in Zen Buddhism, Everett introduced us to silence in a ritual context. These periods of silence brought a heightened sense of mystery to the liturgy and a peacefulness that was not usually apparent in Jewish worship. This was my very first exposure to meditation and I loved it. For Everett, the outer and inner worlds were completely connected. In his mind there was no division between the spiritual and the political. God was present everywhere at all times. As I developed my vision for Kehilla in the early 1980s, and thought about the kind of rabbi I wanted to become, I drew heavily from my memories of Everett’s rabbinate. Everett is now 86 years old. For many years, he and Mary have been travelling to Dharamsala, India, the center of the Tibetan exile. With the blessing of his friend, the Dalai Lama, he teaches the young monks the values and the methods of non-violent resistance. Everett recently published his first book, Judaism for Universalists. I enjoyed it immensely. Perhaps you will, too. Thank you Rabbi Burt. I am very curious about this book that your mentor wrote. Love hearing the history of our community.